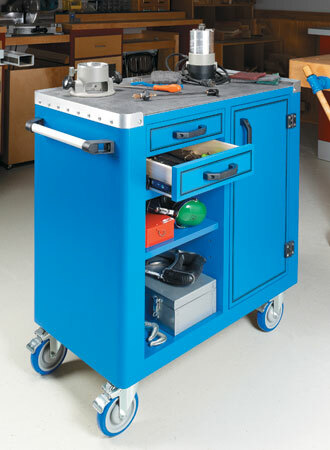 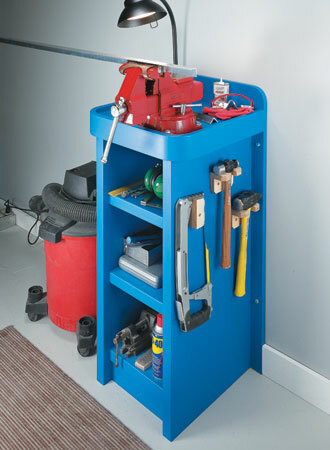 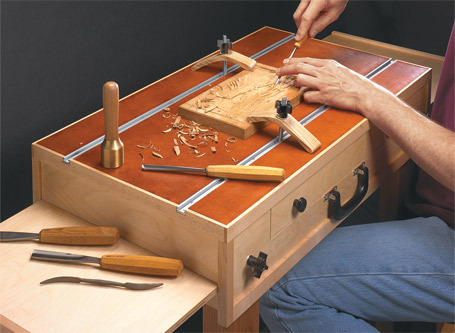 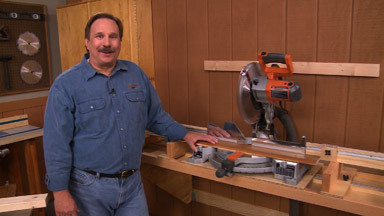 In the shop this miter saw station can rest on a bench or on the fold-out, wall-mounted bracket. 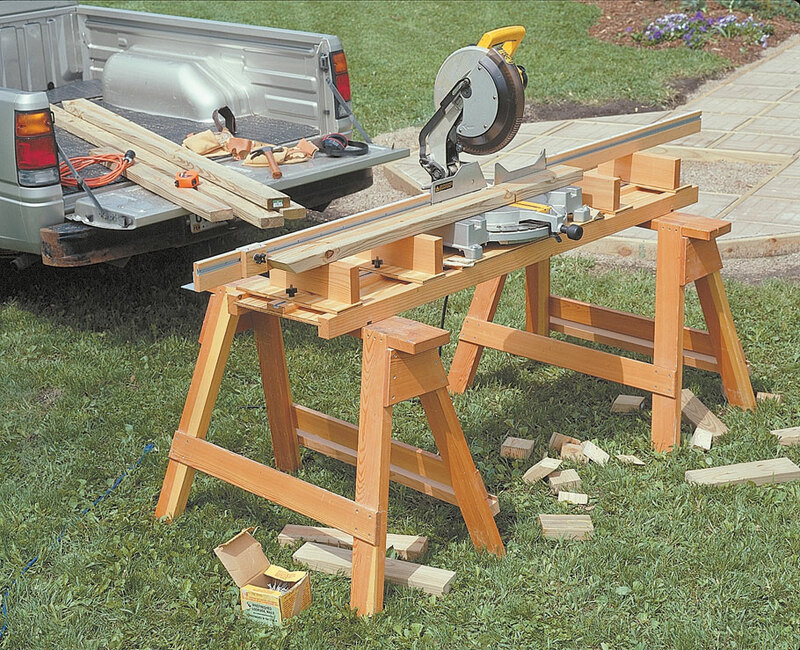 And when you need to work outside the shop, just lift the station off the bracket. 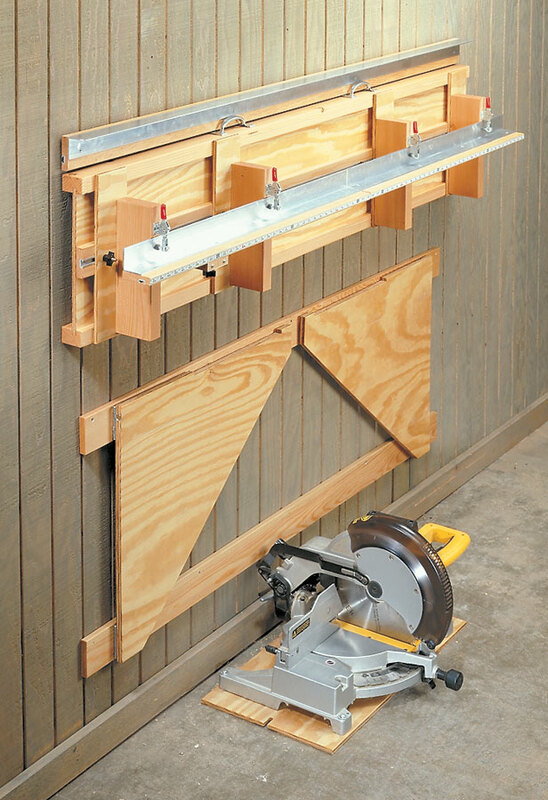 The fence and miter saw are mounted to platforms that slide along the base. 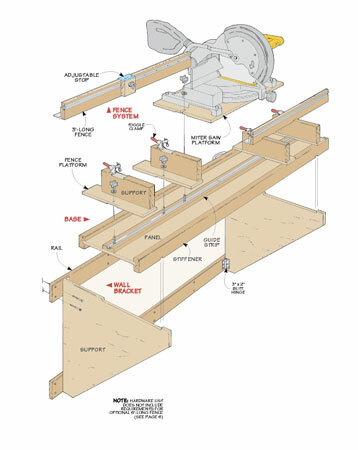 When you need more support on one side of the saw than the other, just slide the platforms where you need them. 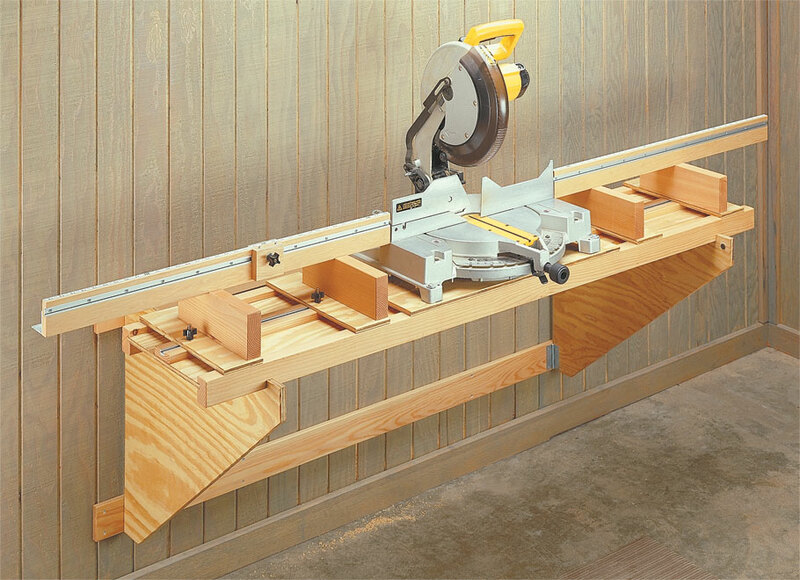 Finally, with an adjustable stop that slides in an aluminum T-track, you get precise, repeatable cuts.